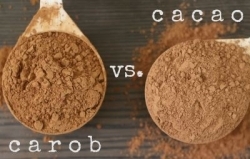 CAROCHOC is a natural food ingredient obteined from the fruit of the carob tree (Ceratonia Siliqua) by a special roasting and milling process. - of which sugars- 20% min. Добавить отзыв Отзывы о товаре "CAROCHOC-4.5"